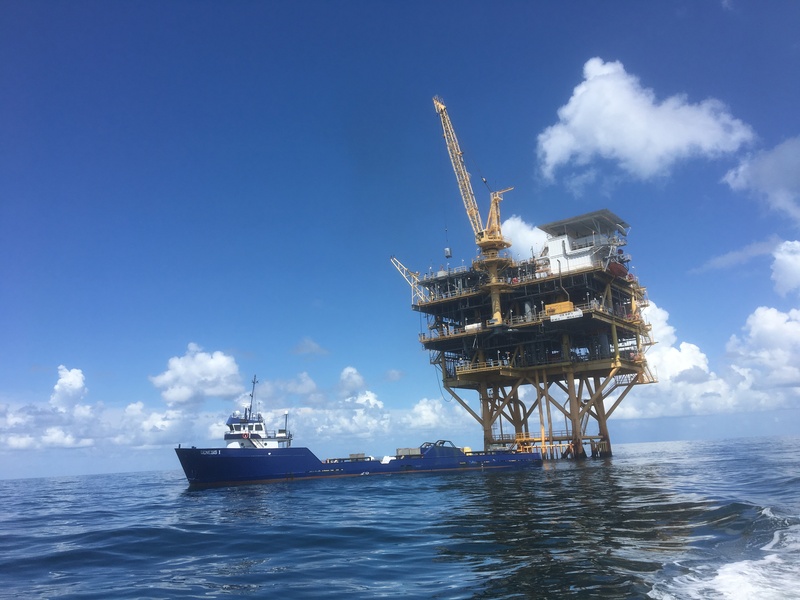 NOAA Ship Thomas Jefferson is currently anchored in the Gulf of Mexico, approximately 50 miles Southeast of Galveston, Texas. 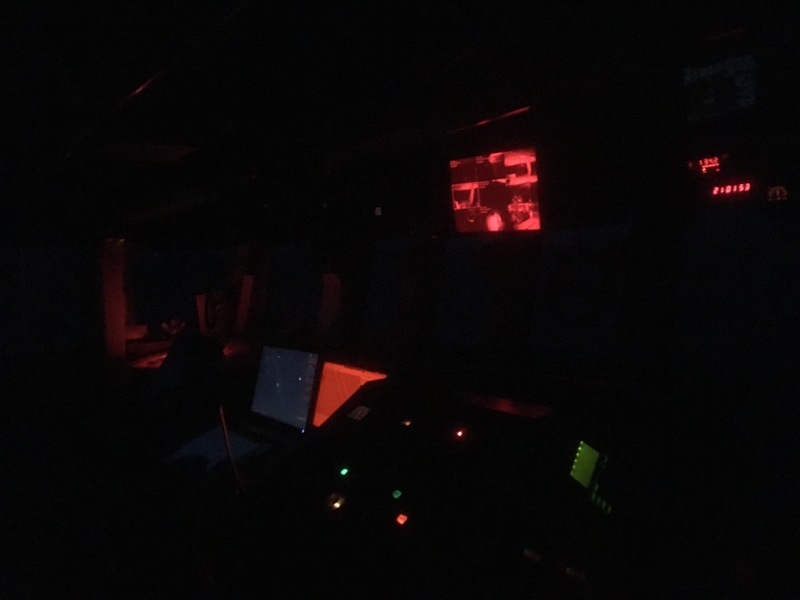 The ship is on a hydrographic mission, meaning it is in the process of mapping an approximately 1100 square nautical mile area in order to make updated nautical charts. 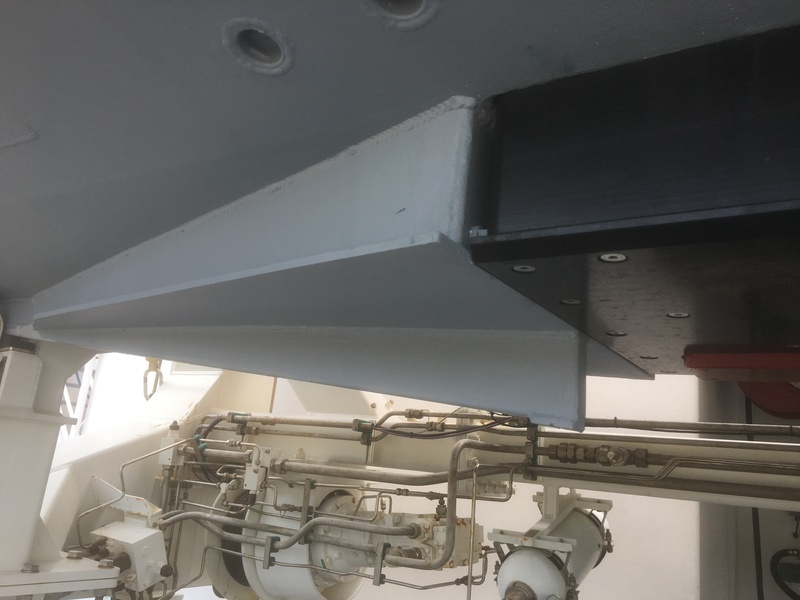 These will be very useful for ships as they approach the Port of Houston, which is one of the busiest ports in the world. 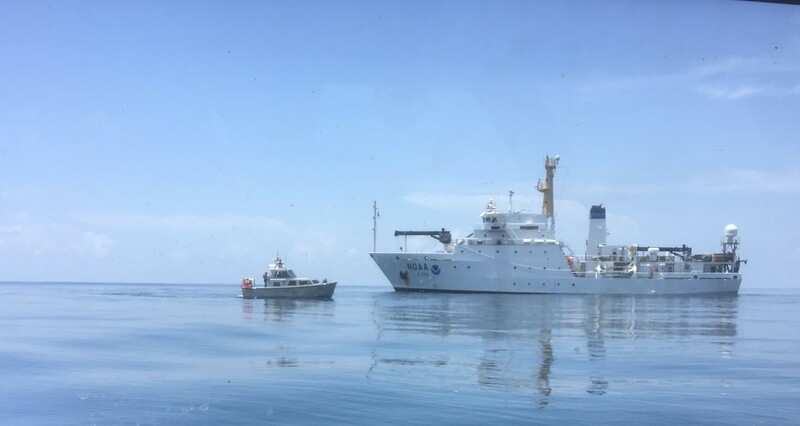 NOAA Ship Thomas Jefferson carries 2 smaller survey vessels (also known as Hydrographic Survey Launches, or HSL’s) that assist in our research. 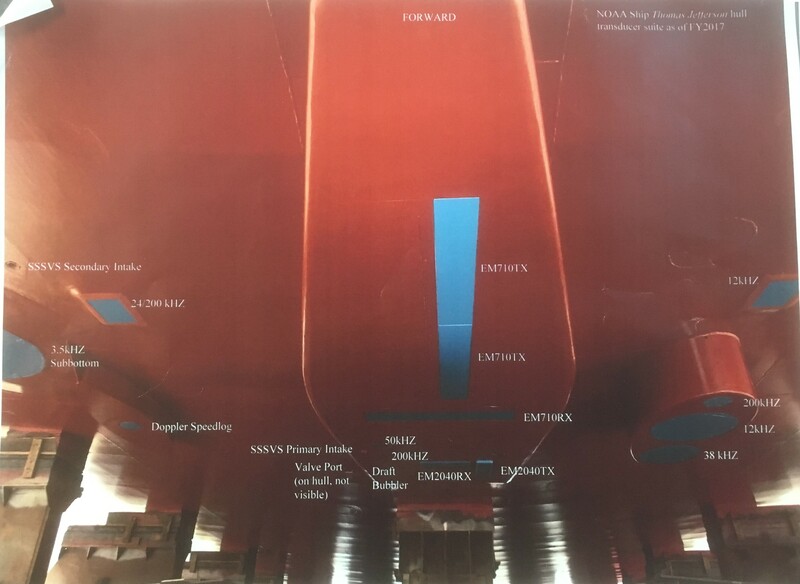 These boats carry sonar systems (which I will go into greater detail about in a future blog post), as well as some other devices that are used to make various measurements. 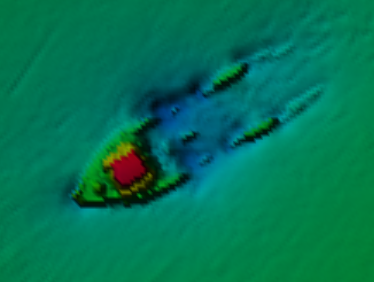 I was fortunate enough to be able to go out on one of these smaller boats as they collected a variety of data. One device that is used is called a CTD. 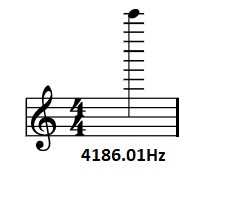 The name is an acronym, standing for conductivity, temperature, and depth. Conductivity refers to how well the water conducts electricity. 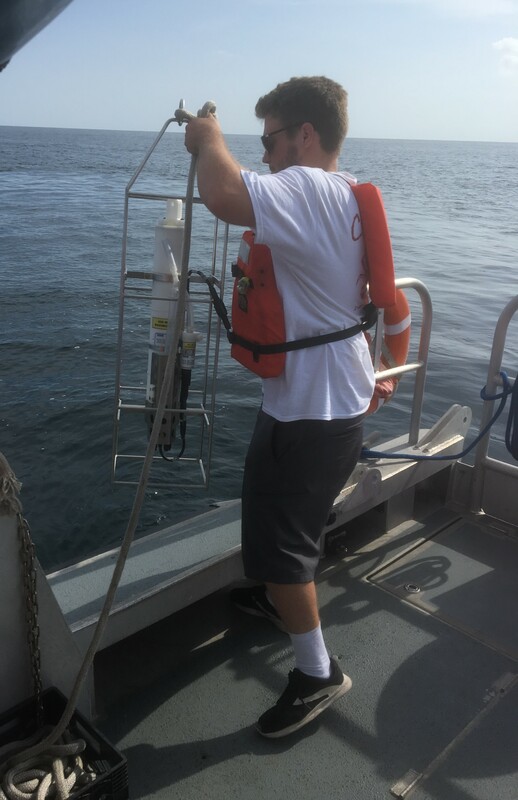 That data can be used to determine the salinity of the seawater, or how salty it is. If a scientist knows the salinity and temperature of the water, they can determine the density of the seawater. 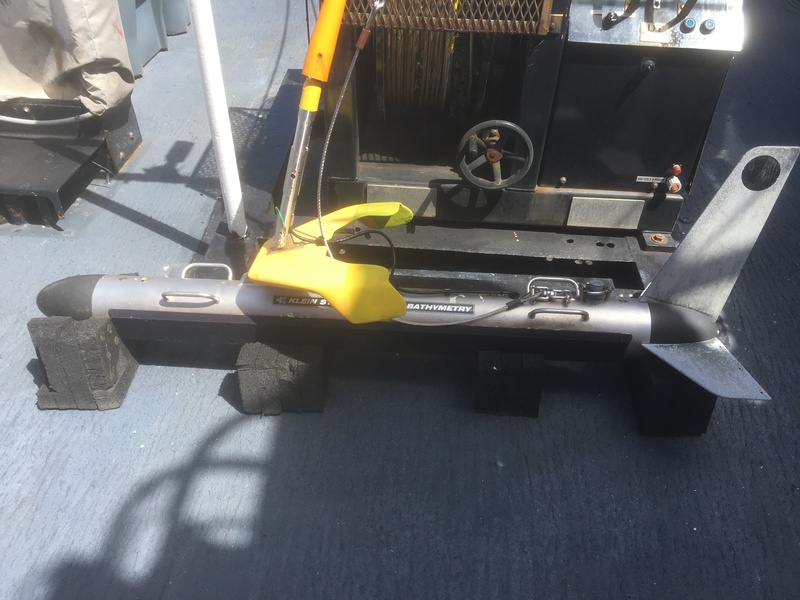 Additionally, the boats carry devices that collect samples of the sea floor. The makeup of the seafloor varies greatly from one location to another – some areas are sandy, while others are rocky or muddy. 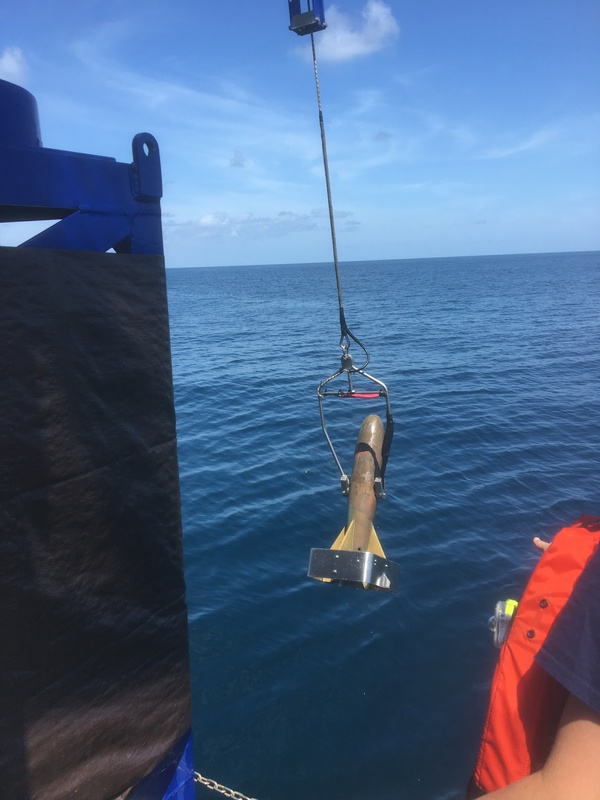 This information can give mariners a better idea of what the underwater habitat is like, and is some of the most sought after data that NOAA Ship Thomas Jefferson is collecting. 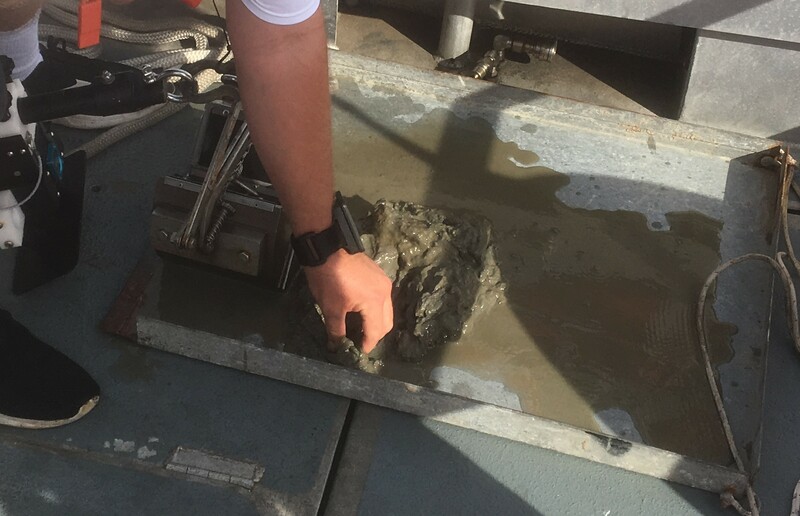 The bottom sample that we collected was mostly mud. 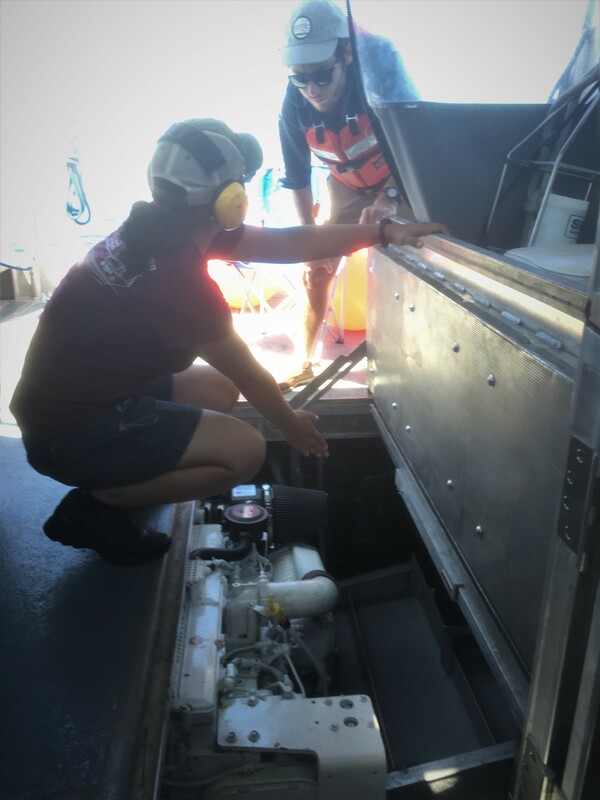 In addition to recovering a physical sample, the crew is experimenting with taking a photo of the seafloor using a GoPro camera. 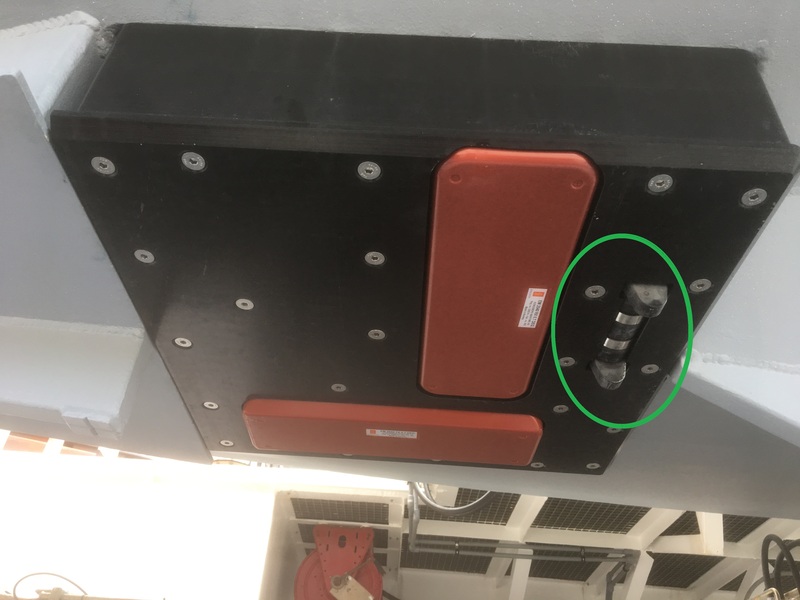 When I was on board, they had successfully mounted the camera to the bottom sampler, but were unable to get a good image. Port side view of NOAA Ship Thomas Jefferson docked in Galveston, TX, where I got on board. I arrived in Galveston, TX, on the morning of July 8th, which was a Sunday. I found the ship to be mostly empty, as most of the crew had gone into the city. I was greeted by ENS Garrison Grant, who gave me a tour of the ship. 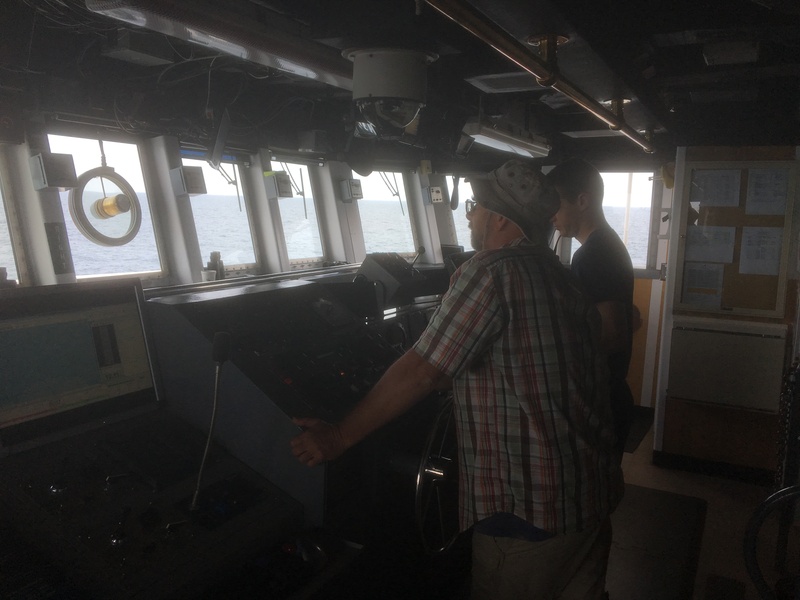 The ship left port on Monday afternoon, and it was fascinating watching the crew on the bridge navigate out into open water. The lanes going into Galveston and Houston were very busy with a wide variety of vessels – I saw everything from small fishing boats to huge container ships and cruise ships. Safe navigation requires clear communication and lots of attention to detail. I imagine that it could be quite stressful, but the bridge crew were all calm and professional. Yesterday, we did two safety drills – the first was a fire drill, and the second was an abandon ship drill. The general principles of these drills are very similar to what we do at school – we make sure that every individual knows where they are supposed to be and what role they are supposed to play in an emergency situation. 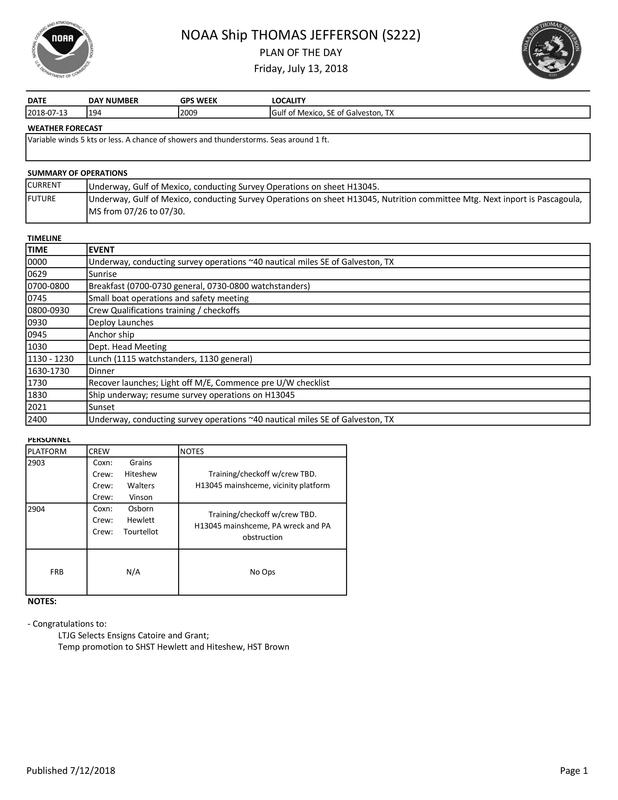 Hopefully we won’t need to put that knowledge to use, but practicing these procedures is essential to crew safety in the event of an emergency. 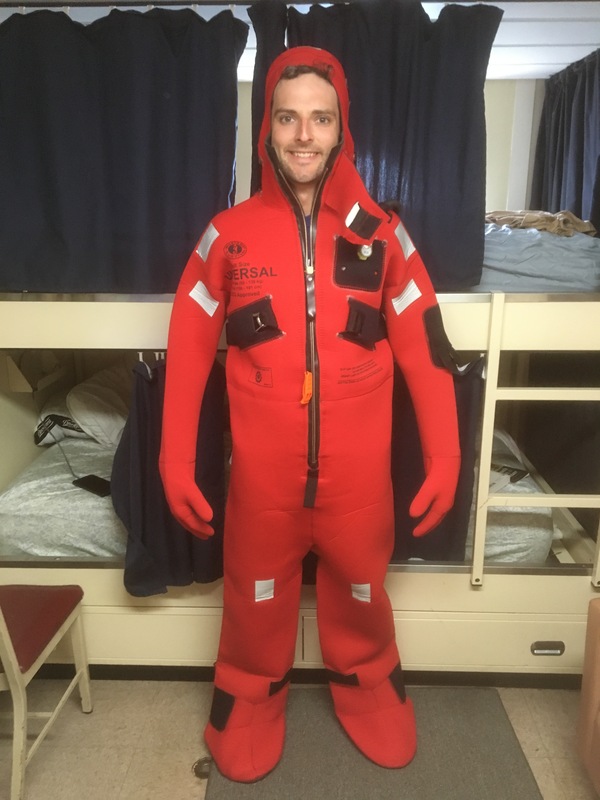 In the event that the crew needs to abandon ship, all of us will don survival suits before going to the life raft. 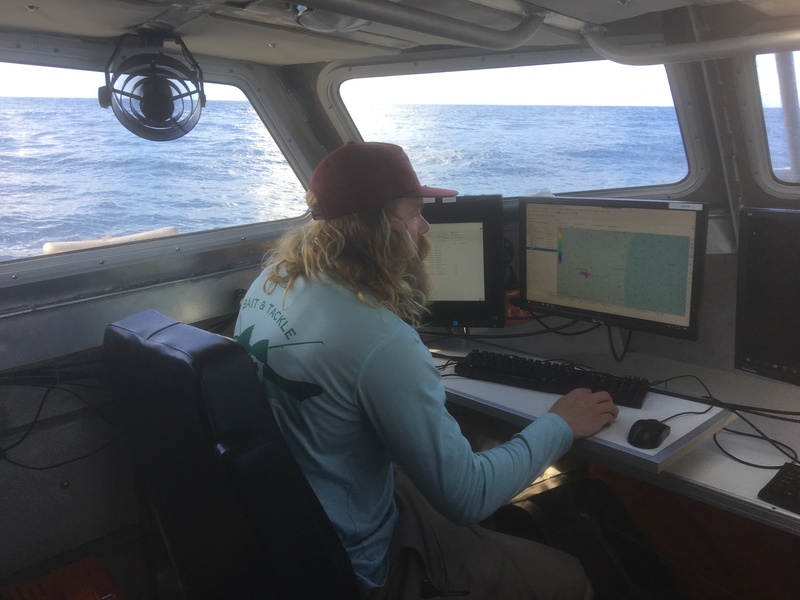 I’m delighted to say that I have found the crew to be very friendly and helpful – they’re very patient with me and good at explaining their complex systems in easy to understand terms, for which I am very grateful. 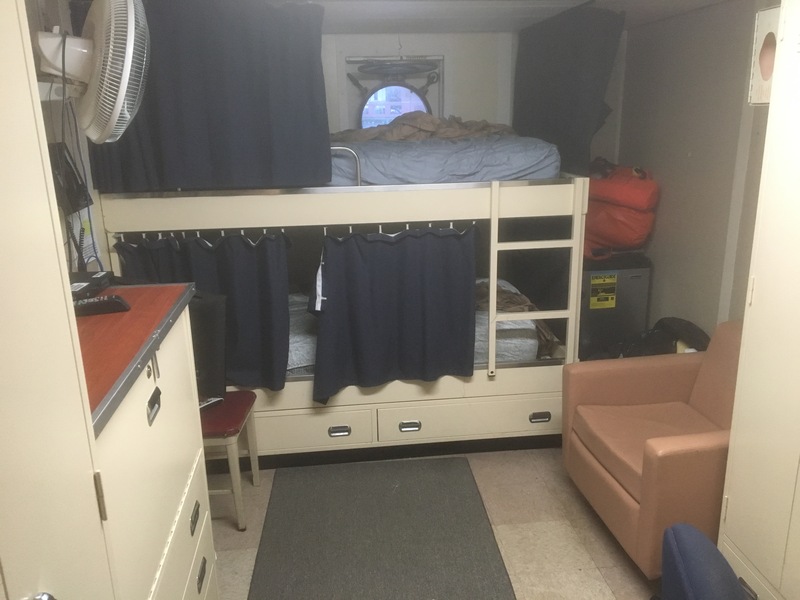 Before I left Missouri to join the ship, my friends, students, and colleagues asked me dozens of questions, but probably the most frequent one was about the living arrangements on board. I didn’t know what to expect, and I have found the stateroom I’ve been assigned to be quite pleasant. The room is equipped with a comfortable bunk bed, a small television, a refrigerator, and an en-suite bathroom. There are also a pair of desks and ample storage room. Did you know? 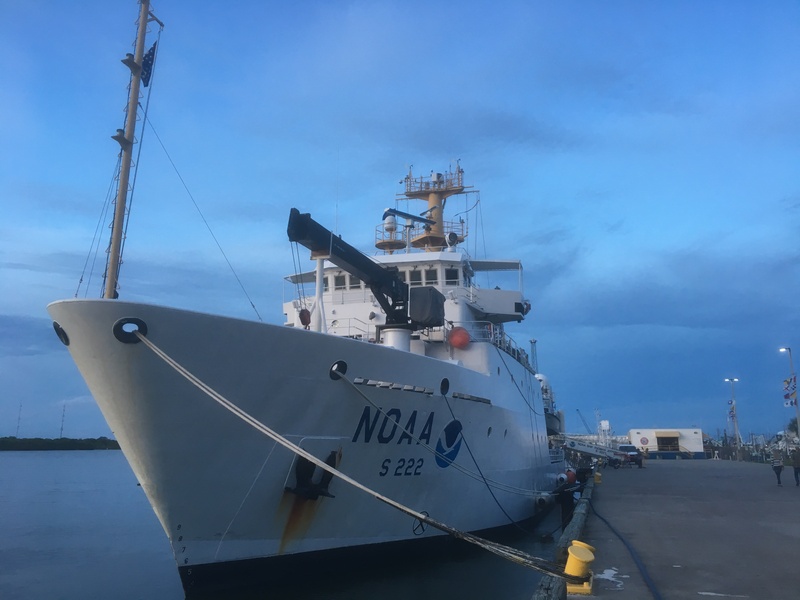 : When measuring the temperature of the air, NOAA Ship Thomas Jefferson uses both a dry bulb thermometer and a wet bulb thermometer. The difference between the two allows us to determine the relative humidity of the air. Highlight of the Day: Yesterday, while aboard the small boat, I saw several dolphins playing in the water. I’ve never seen dolphins in person before, so it was really cool getting to watch them. Personal Introduction: Greetings! 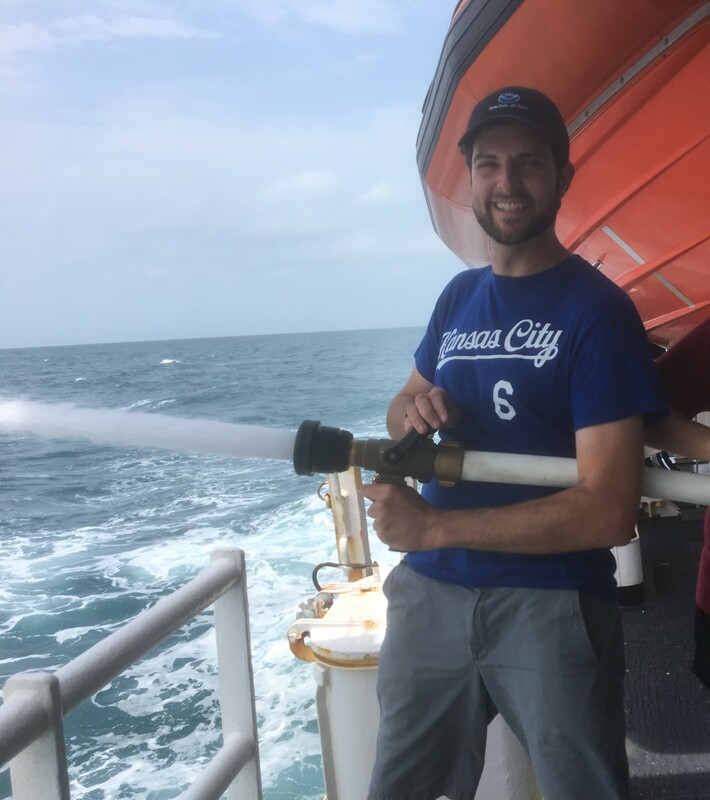 My name is David Tourtellot, and in just a few days I will be joining the crew of NOAA Ship Thomas Jefferson as part of the Teacher At Sea program. I feel very fortunate having been chosen for this opportunity, and I couldn’t be more excited! I received a degree in Music Education from the Conservatory of Music and Dance at the University of Missouri – Kansas City, and I just finished my fifth year teaching 5th and 6th grade orchestra classes at 4 elementary schools in Lee’s Summit, Missouri. We had a great year making music together! 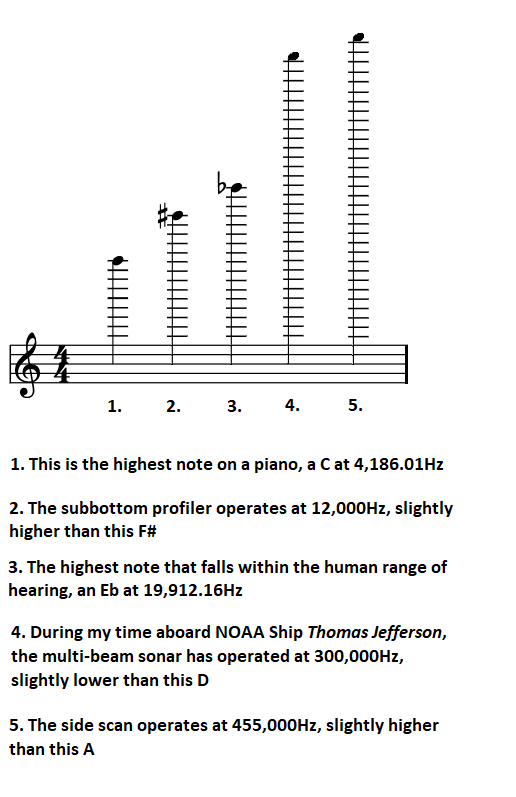 I have long been fascinated by the field of acoustics, and I share that with my students. Not only do they learn the fundamentals of playing music, we also discuss how their instruments make sound, the properties that make one instrument sound different from another, and why our ensemble sounds different performing in one room than we do in another. 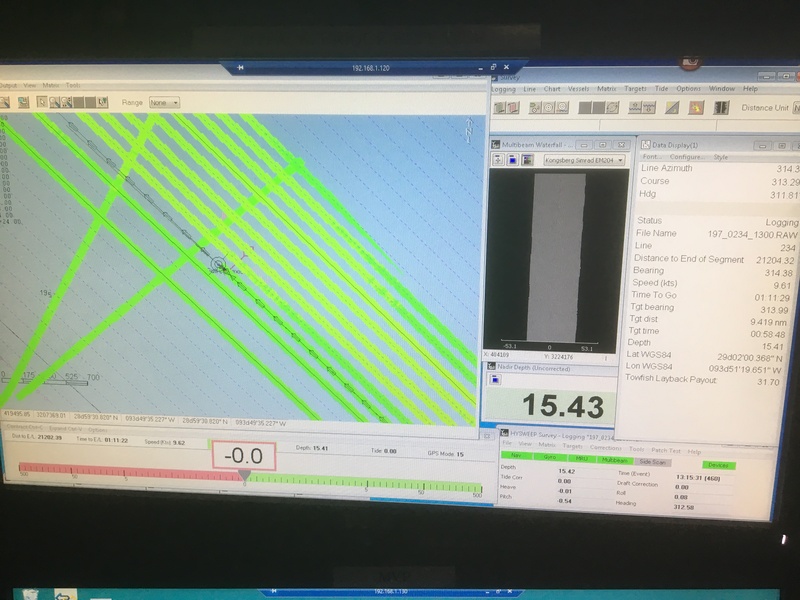 Currently, NOAA Ship Thomas Jefferson is doing a hydrographic survey and is using sonar (which operates using sound waves) to detect what is underwater. I am very much looking forward to learning more about this, and helping my students to make deeper connections between science and the arts. I’m also looking forward to spending time on the ship. I’ve lived my entire life in the Midwest, and can count the number of boats I’ve been on on one hand. This will certainly be a new experience!